BIRTH CONTROL IN THE SPOTLIGHT – On the 40th anniversary of Paul VI’s Encyclical Humanae vitae banning artificial birth control, the German Bishops’ Conference announced that it will revisit their own document affirming Catholics can follow their consciences on that matter. In fact, already in 1968 the German Bishops – as well as their Austrian colleagues – frontally opposed the papal orientation on artificial birth control with official declarations [the German Königstein Declaration and the Austrian Maria-Troster Declaration]. Both emphasised that Humanae vitae is not an infallible decision of the Magisterium and allowed the faithful to dissent and practice artificial birth control. Zollistsch, left, asks Lehmann, right, for a new draft on the pill. A rewording of the same progressivist approach? Present day president of the German Bishops' Conference, Archbishop Robert Zollistsch, said the Konigstein Declaration will be re-examined because it has been “very one-sidedly interpreted” (The Tablet, November 29, 2008, p. 30). The task of writing the first draft of a new edition of the Bishops’ document fell to Card. Karl Lehmann, Bishop of Mainz, a known progressivist and one of the inspirers of the older document. This new interpretation, which should have several more conservative components but preserve the same progressivist essence, is expected to be issued in the 2009 spring plenary assembly of Bishops. So matters stood until a polemic broke out among the Austrian Bishops. In October the Vienna Archdiocese posted on its website a speech by its Cardinal, Christoph Schonborn, delivered in Jerusalem in March 2008. In it he had strong words for the Austrian Bishops who had signed the 1968 Maria Troster Declaration. According to Schonborn, those Bishops “had sinned by stating that birth control was a matter for the informed individual conscience.” On November 30, the Cardinal repeated this censure on the State-broadcasted weekly religious program Orientierung. To accept the birth control pill, he said, “is de facto saying no to life; it prevents new lives.” He also blamed Catholics who used the pill for the declining number of faithful in Europe (The Tablet, December 6, 2008, p. 33; December 13, 2008, p. 31). The issue got hotter when the same program broadcast opinions by other important Austrian Prelates who were interviewed separately. Bishop Helmut Kratzl, former auxiliary Bishop of Card. 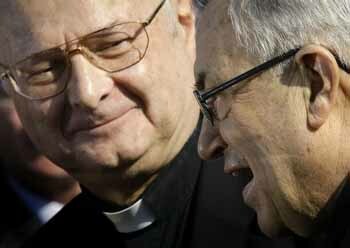 Schonborn, and his former vicar general Msgr. Helmut Schuller both took a clear stance against their Cardinal. Kratzl defended everything in the Maria Troster Declaration, and Schuller “strongly recommended” that Card. Schonborn withdraw his “no to life” comment. In his diocesan newspaper, Bishop Egon Kapellari of Graz - normally a supporter of Card. 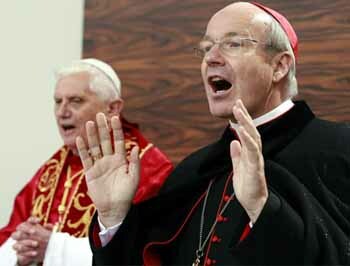 Schonborn and very close to Benedict XVI - said: “I am convinced that the Austrian Bishops, among them Card. Franz König, acted very responsibly in 1968.” Kapellari affirmed that he knew Catholic couples for whom only natural methods of birth control were not sufficient. Under such pressure, Card. Schonborn backtracked and publicly apologized in the third round of this Austrian polemic. Indeed, on December 3, at a meeting of the Catholic Media Academy, the Cardinal of Vienna said he had not intended to criticize those Austrian Bishops who allow Catholics to follow their conscience in birth control. He added: “If that was how my words were understood, then I am sorry” (The Tablet, December 13, 2008, p. 31). Given that Schonborn’s U-turn only weakened Catholic Morals, I wonder if his defeat was pre-planned with the aim of burying once and for all any good reaction that might still exist among Austrian Catholic couples. LICENTIOUS PRIEST RETURNS TO MINISTRY - Still in Austria, under the jurisdiction of the same Card. 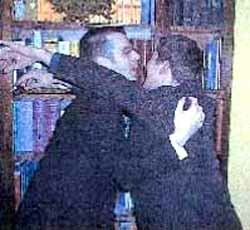 Schonborn, the former vice-rector of Sankt Polten seminary who had been pictured kissing and fondling seminarians back in 2004 is now rehabilitated and has returned to ministry. Photos of Fr. Wolfgang Rothe and Fr. Ulrich Kuchl in immoral poses with	seminarians at a Christmas party were widely spread throughout the world. Rothe was the vice-rector and Kuchl the rector of that seminary. To save Card. Schonborn in that embarrassing situation, Bishop Kurt Krenn of Sankt Polten was blamed, the two priests were suspended, and an apostolic visitor, Klaus Kung, was named by the Vatican to clean up the situation. After Kung arrived at the seminary, he declared he had found the seminary operating “as a veritable brothel” (The Tablet, November 22, 2008, p. 31). Later, Kung became the Bishop of the Diocese, replacing Krenn. It was this Bishop Kung - the healing moralist sent by then-Card. Ratzinger - who authorized the scandalous Fr. Rothe to return to his priestly ministry. In late November the German magazine Der Spiegel discovered that Fr. Rothe had been transferred to Germany and is now working at St. Michael’s Parish in Altperlach, Munich. The scoop was picked up by the media, and soon Bishop Kung was forced to give a public explanation. The Bishop said that he had decided to give Fr. Rothe a second chance and had lifted his suspension for a year. Justifying his decision, Kung noted that the priest had passed some months in a monastery “to reconsider his vocation and is now prepared to fulfill all the other conditions necessary to carry out pastoral work as a priest.” He further noted that Fr. Rothe was working in Munich with the permission of Archbishop Reinhard Marx on a trial basis, under supervision and with certain restrictions. According to Kung, all these measures had been taken with the Vatican’s knowledge and approval (ibid.). In any case, one can see that the same policy the American Bishops adopted here is being applied in Austria and Germany under the supervision of both Card. Schonborn Archbishop of Vienna, an enthusiastic disciple of Pope Ratzinger, and Archbishop Marx, his successor to the Munich see. Paul VI's Homosexuality: Rumor or Reality?